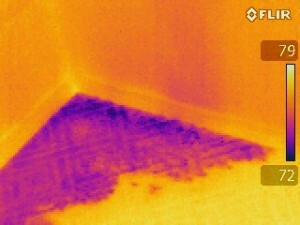 Moisture Detection in Walls and Ceilings – As demonstrated in this image the infrared scan or what we call thermal imaging is a great option to have. 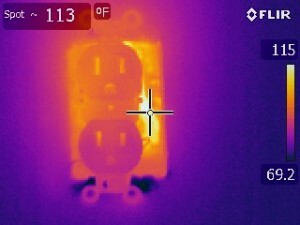 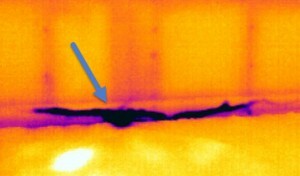 Thermal imaging can help identify water damage walls, floors, and ceilings. 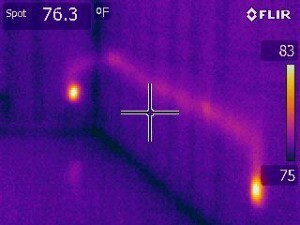 By revealing the difference in temperature between a wet area and the surrounding dry areas, we are able to detect moisture issues that otherwise would not have been discovered with a limited visual home inspection. 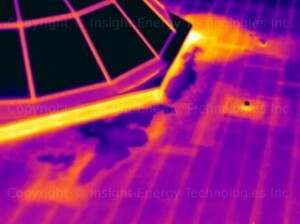 This thermal imaging inspection can also identify areas where insulation was not properly installed and fails to insulate properly.